KENNEDY SPACE CENTER, Florida – U.S. 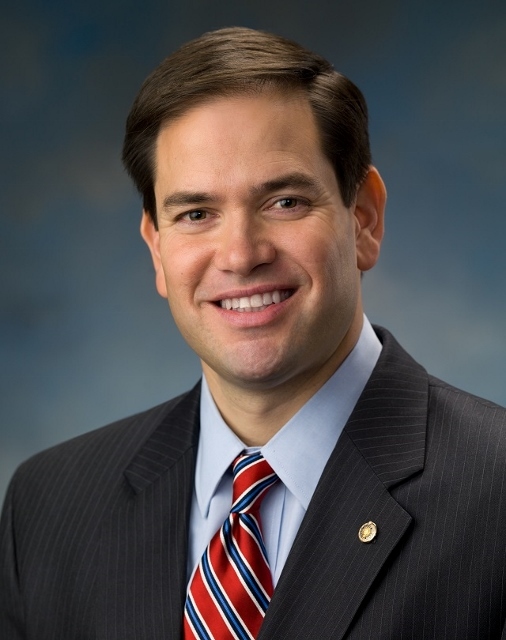 Senator Marco Rubio (R-FL) will participate in an aerospace roundtable hosted by the Economic Development Commission of Florida’s Space Coast (EDC) at Space Florida in Exploration Park on Friday. The roundtable topic will cover the U.S. and Florida’s critical role in space leadership. Rubio will discuss his work to promote space as a vital national issue that warrants public and legislative attention, and talk with industry leaders about the progress of aerospace policy and making future endeavors successful. The Senator was resoundingly defeated by Donald Trump 45% to 27% in his home state of Florida during the Republican Presidential Primary earlier this year. In Brevard County, Rubio was defeated even more severely, garnering only 24% of the vote to Trump's 46.3%. Rubio had promised to not seek re-election to the U.S. Senate following his bid for the Presidency, but later changed his mind after the Pulse terror attacks. Rubio has received sharp criticism for his high absenteeism during his first term in the U.S. Senate. From January 2011 to July 2016, Rubio missed 234 of 1,616 roll call votes (14.5%), according to govtrack.us. In 2015, Rubio had the worst attendance record of all U.S. Senators, The Hill reported.